It would be immensily helpful if we could see the Role of each Opportunity Contact Role that's displayed in the Opportunity related list on the Contact layout. Currently, the opportunities that are displayed are any opportunity the contact has a role for, but there's no way of knowing (without drilling into the opportunity) which role they have, or if they are primary. This is confusing and frustrating for users. This discussion has been going on for nine years now? Hmph. I'm chimming in on this. It would be a great improvement. This would be awesome!!! 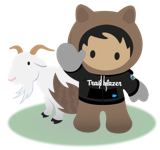 Please Salesforce Product teams! At least in lightning???? Would love this for use with the Nonprofit Success Pack - Contact Roles define Hard and Soft credit roles and corresponding rollups, but when you look at the list of Opportunities it shows them all grouped together. It would be great to quickly see what Opportunities represent the Contact's direct donations vs. Opportunities that represent the Contact's influence toward another Contact or Organization (defined by the OCR Role field) without having to drill into each Opportunity. For now we're using Opportunity Naming to kind of solve it - if the Opportunity Name has the name of the Contact in it we know its a direct donation. If it has the name of another Contact or Organization we know it is an indirect donation. But honestly the Role field would make a lot more sense! This is quite frustrating. I love the new Tribute fields, but when I look at the opportunity list on a contact I can't tell that the donation was actually a honoree or tribute notification. customizatoin of this would be most appreciated since it will be more easy to keep track of contact data in one place. This would be very helpful. In addition, it would be nice if the contact roles related list was customizable. We have sales people who cover multiple time zones. They would like to see which time zone a customer is in by looking at the related list. Having to go back to the contact object is time consuming. Salesforce has limited resources and its own motivations for how to prioritize fixes/improvements. This is a particular use of a niche feature. The request is only useful to to people/orgs who happen to use Contact Roles, and then only in a specific way (viewing roles from the Contact page instead of Opp page). You've got to appreciate that this is not necessarily universal, or even mainstream. Most important point: There are several ways to accomplish this already! Through customization, it is possible to achieve this a couple different ways, both with and without writing code. For the noncoding solution, all you'd have to do is essentially copy this "Contact Roles" standard table as a custom object. Why? Because 'standard' objects are often missing basic functionality and features that ALL custom objects include by default. I'm essentially telling you to reinvent the wheel, but to do it better than Salesforce did. Stupid, I know, but it'll get you where you want to be. UPVOTE THIS IDEA, but don't wait on Salesforce to fulfill a niche request on a standard object that isn't heavily used (notice how old this idea is?). When a standard object or 'out-of-the-box' feature doesn't work as desired, rely on the platform's flexibility to provide workarounds. How is this still a thing? At first, I thought it was maybe because 1 contact could have multiple roles on the opportunity and the related list couldn't handle this. But now I see that if I add 1 contact with multiple roles, multiple entries show up in the related list. This has been around for years and they haven't bothered to address this? I'm still required to click on the link, scroll down to the related list, and then find the user I'm looking for in order to determine the role? That's utterly absurd. Agree. Having the role visible will help user understand the depth of the contacts associated to the Opportunity...especially useful to assisting with optimization of marketing automation. This feature is really critical - the opportunity roles are far less valubale when you can't see them on a contact page. It reduces the value of that feature immensely. Also be able to see a Contact's Title (or other custom fields) would be helpful.